Formulated to clean the toughest plant saps. Contains natural lanolin to protect your skin. Dissolves and removes the saps from sticky fingers. Dino-Clean is specially formulated to clean the toughest plant saps that nature can throw at you. It will completely remove even the most concentrated resins from your hands, tools, work surfaces – even laundry. Dino-Clean contains natural lanolin to protect your skin from drying and cracking without sacrificing cleaning effectiveness. 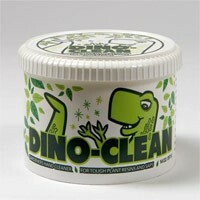 Dino-Clean dissolves and removes the saps from sticky fingers. Other cleaners often just spread the stickiness around. 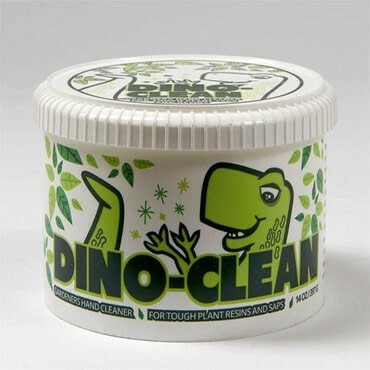 Follow the instructions below -- after using Dino-Clean your hands will be completely clean – not oily or smelly.